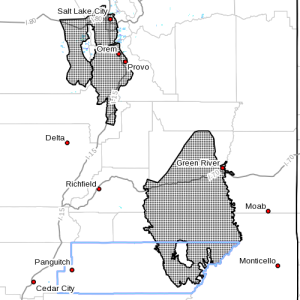 SOUTHEAST UTAH – The National Weather Service has issued a “Hard Freeze Watch” in effect from late Thursday night to 9 a.m. Friday in southeast Utah. A hard freeze warning means subfreezing temperatures are possible. These conditions will kill crops and other sensitive vegetation if they are left unprotected.